This August 8th 2015 will mark 37 years now that our innocent family members have been unjustly imprisoned by Philadelphia and Pennsylvania officials for a crime that not only these officials but the world knows they did not commit. In 1998 and 2015 two of our family members Merle Africa and Phil Africa both died under very mysterious circumstances in Pennsylvania prisons after being unjustly jailed for so long. Merle spent 20 years of her life unjustly jailed and left to die in prison. Phil spent 36 years unjustly jailed and left to die by Pennsylvania officials in prison Enough Is Enough. For 37 years now the Philadelphia District Attorney past Lynne Abraham and present Seth Williams have worked in conjunction with the Fraternal Order of Police and now the Pennsylvania Parole Board to ensure that our family remain in prison for the rest of their lives. Innocent people remain in prison who in the words of the Pennsylvania Parole Board are a risk to the safety of the community yet the biggest threat to the safety of our community, the Police, are walking the streets murdering our children with immunity. You can look no further than the example of Sandra Bland in the south. All of this and more discussing why the Justice Dept needs to take action. We will also be joined by Temple Journalism Professor Linn Washington and activist attorney Michael Coard. Join us Saturday August 1st from 12:00pm to 4:00pm at the African American Museum located on 701 Arch Street Downtown Philadelphia. In fact their is a risk to the safety of people in the community but it’s not Delbert Africa or the rest of the Move 9. It’s the police known murderers of our children. 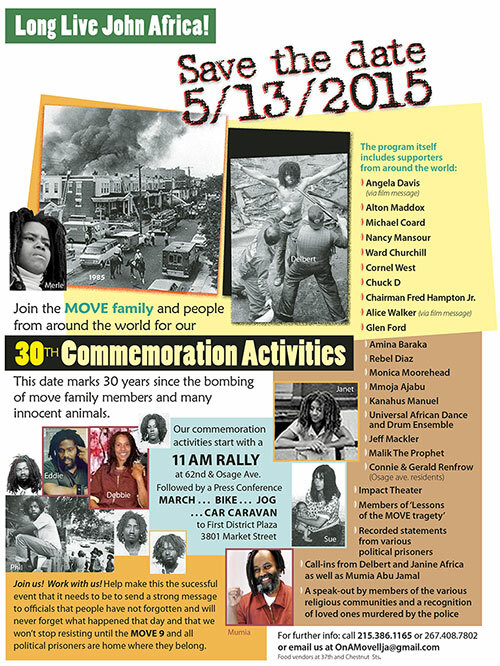 The police that murdered Move men, women, and Move Children on May 13th 1985 walk the streets with immunity. The police who murdered Brandon Tate Brown in Philadelphia are still walking the streets with their identities protected. Akai Gurley, Eric Garner, and so many others safety has been put at risk by these foul murderers who walk the street and continue to be a risk to the community as a whole’s safety. It’s obvious a person who has kept down gang and racial violence in prison is far from a threat to the community at large. It’s obvious that officials want our family to die in prison you can look no further than the examples of Merle and Phil Africa dying in prison. We cannot allow another person to die in these dungeons. We are urging people to please take the time to sign this petition that we have aimed at the United States Justice Dept you can go to the website at https://www.causes.com/campaigns/92454-free-the-move-9. We are demanding now that the justice dept look into the unjust imprisonment of The Move 9 as a whole. Our goal is to reach 25,000 signatures as a whole so we have some serious work to do as a whole and your help is needed now more than ever. First we would just like to take the time to thank all the People who have taken the time to make calls to a The Pa Parole Board this week in support of our Brother Delbert Africa. The Parole Board is feeling a tremendous amount of pressure over the issue of parole for Delbert and The Move 9 overall . Due to the amount of pressure over the calls they are now trying to divert people’s attention towards letters so that the calls will stop . We urge people to keep making calls and don’t stop if The Pa Parole Board has such an issue with us calling then they should grant parole for Move Political Prisoners bottom line . Your minimization/denial of the nature and circumstances of the offenses committed. Your refusal to accept responsibility for the offenses committed. Our brother Delbert and the rest of our family in prison are innocent they need not accept responsibility and show remorse for something they did not do and this system and it’s officials know our family is innocent. At this point our family has nothing to explain to the Parole Board. The Parole Board is in a position now where they have explaining to do. Why is it that Leslie Grey a former police officer who has VERY STRONG TIES to law enforcement communities in Pennsylvania be allowed to make a decision and vote on Delbert being granted parole? This is a blatant conflict of interest, this is the same woman who in December of 2014 voted on giving our brother Michael Africa a five year parole hit. Parole Board members Michael Green and Jeffrey Imboden are appointees of Edward Rendell. Rendell being the former Governor of Pennsylvania, the former Mayor of Philadelphia, and the former District Attorney of Philadelphia whose office prosecuted the Move 9 in 1980 for the murder of police officer James Ramp. Yet another clear conflict of interest that the Parole Board will not acknowledge yet they want Move people to accept guilt for something they did not do. Your help is needed now, we have to keep the pressure on the Parole Board for the release of Delbert. From June 1st – 5th we are asking people to flood the phone lines of the PA Parole Board for Delbert Africa Solidarity Week. People can call the Parole Board (717) 772-4343. (1) Leslie Grey a former police officer who is new to the parole board and obviously has a clear bias against the Move Organization, allowed to vote over whether Delbert receives parole or not. (2) Michael Green and Jeffrey Imboden, who were both appointed to the Parole Board by the same man who prosecuted Move in 1980, Edward Rendell. Delbert has the recommendation of the prison for parole and also has a home plan and employment set up for him upon his release from prison so this is now in our hands. So again, this entire week let’s keep the pressure on the Parole Board. 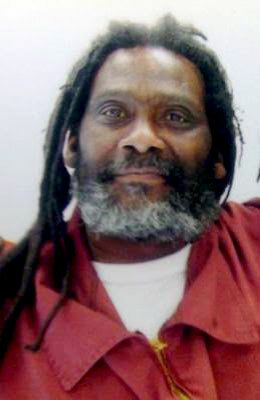 Again you can reach the Parole Board at (717) 772-4343 and demand parole for Delbert (Orr) Africa Am -4985. The MOVE family is working very hard to make the upcoming 30th commemoration of the bombing a truly memorable and significant event. 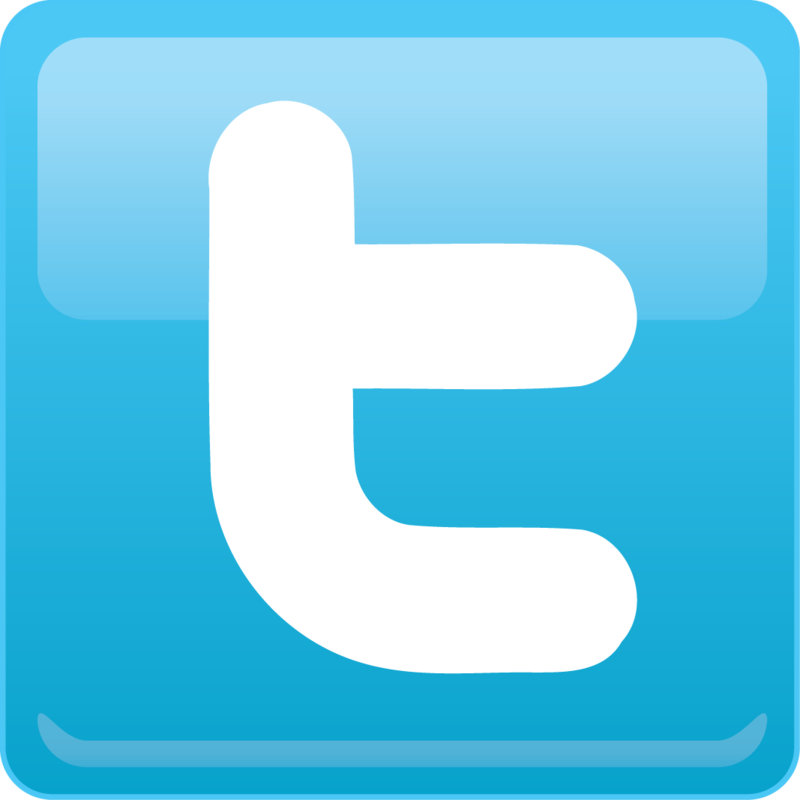 We plan to do commercials to advertise the event and have public service announcements, etc. on 2 local radio stations. One radio station is willing to live-broadcast our event. All this cost money and we have raised a significant portion of all the needed funds. We still need to raise $2,000.00 to complete the expenses of putting this event on so we’re asking those that can, dig deep. Some of you have already sent generous donations. We really appreciate it and we are not asking you to do more, unless you absolutely can and want to. There are some of you that have not contributed yet so we hope that if you can, you will.